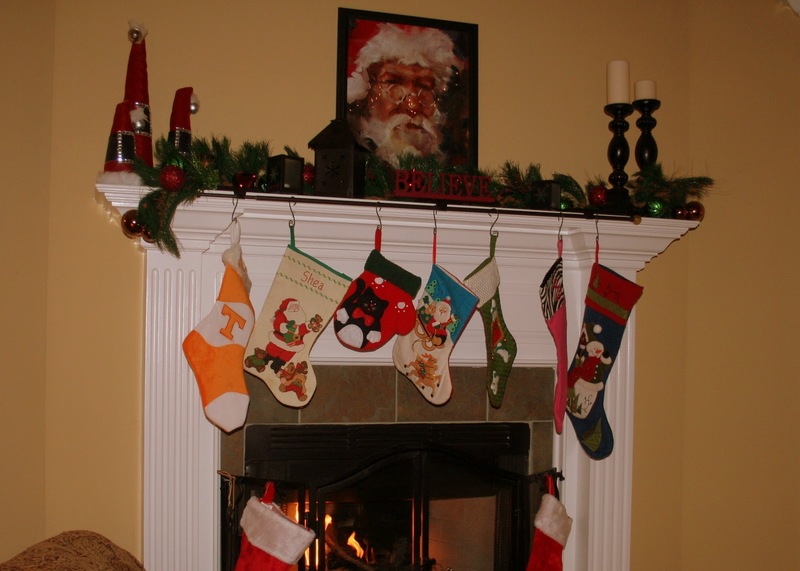 Years ago, before we had a home with a fireplace, I dreamed of having a beautifully decorated mantel, and I imagined it would be fun to keep it updated and tasteful – never dusty, out of scale, or (horrors) boring. Like many things in life, reality is different from the vision. 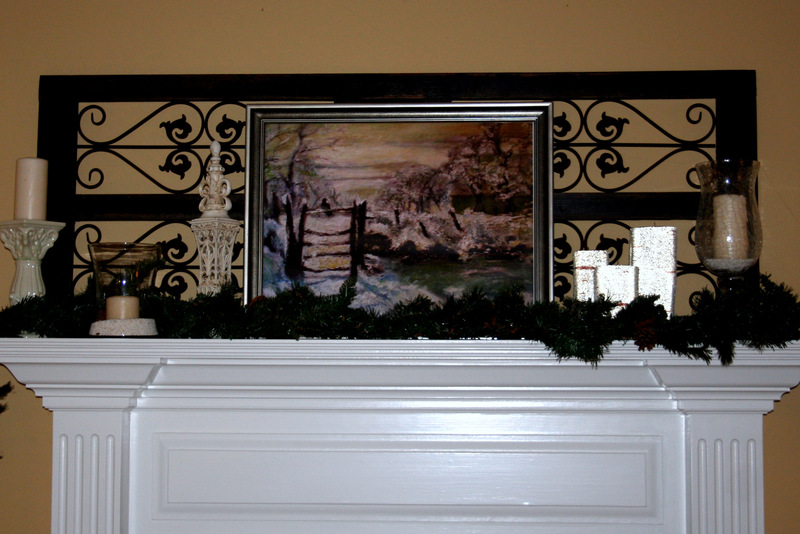 The mantel shown below has proven difficult to decorate because of the massive brick front. I have considered painting it. I’ve considered covering it with drywall, but I’ve never followed through on my threats. So, I do what I can with what I’ve got. Since I’m always trolling for pictures of mantels and looking for fresh inspiration, I thought I’d create a little gallery of photos here – to inspire others with similar architectural challenges, offer some hope (or consolation!) or perhaps serve merely as a series of “what NOT to do” photos. 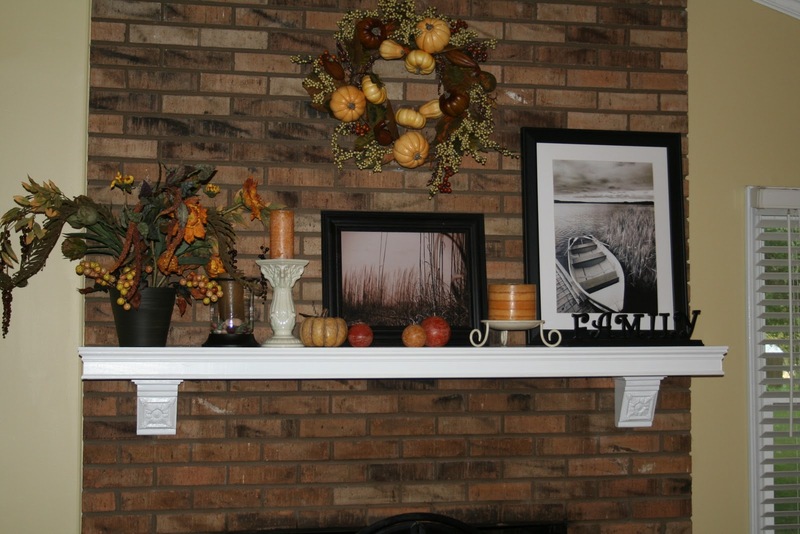 This next mantel photos are our new home. It has a neutral color (but soaring height) backdrop, which presents both opportunities and challenges. 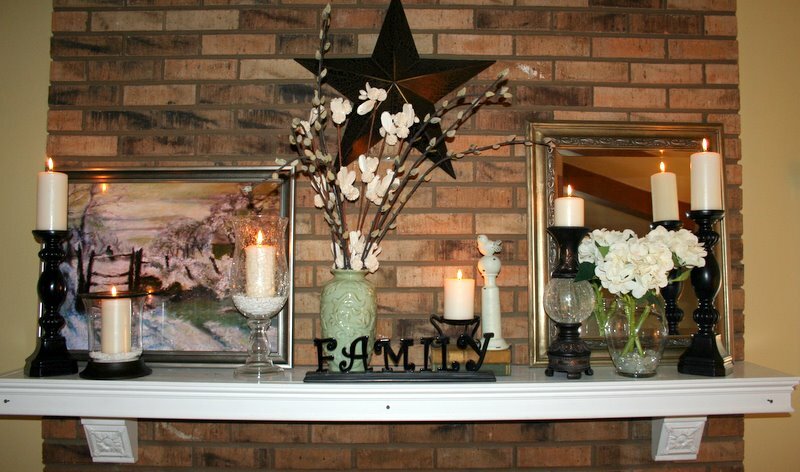 Instinctively, I’ve scaled back on the items I squeeze onto the mantel, due in part to size (this mantel is much taller, but it is not as wide or deep as the old one), and because things don’t seem to shrink and get lost like they did when placed against a brick background. Looking back, I can see why so many people paint their brick the same color as the walls of the room. 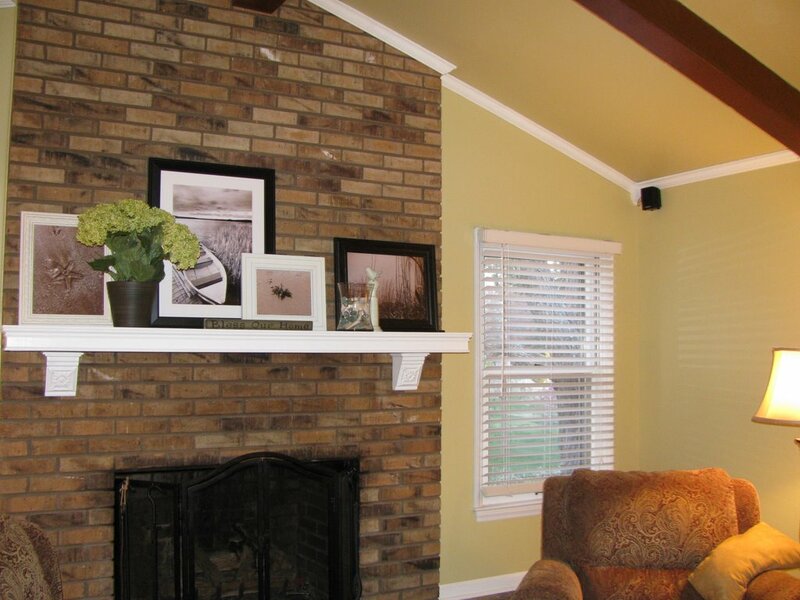 It’s a constant battle to fight the busy-ness of the brick, even when it’s a neutral color. 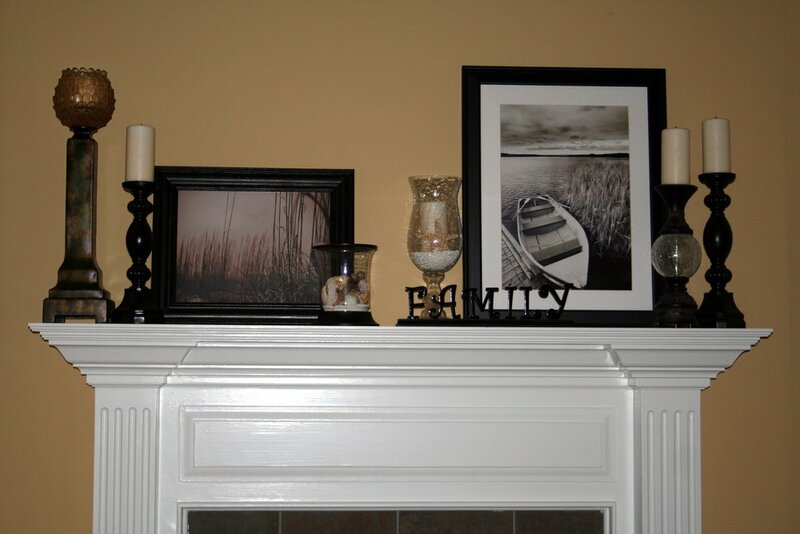 Moving into a new home meant we had a lot of ground to cover in a short amount of time, so the summer mantel relied heavily on existing prints and items I’ve used in the past. (So if most of the items look vaguely familiar, that would explain it.) And I think there’s a balance to be struck between creating a fresh new look for the season, and reusing/repurposing the items we already have on hand. 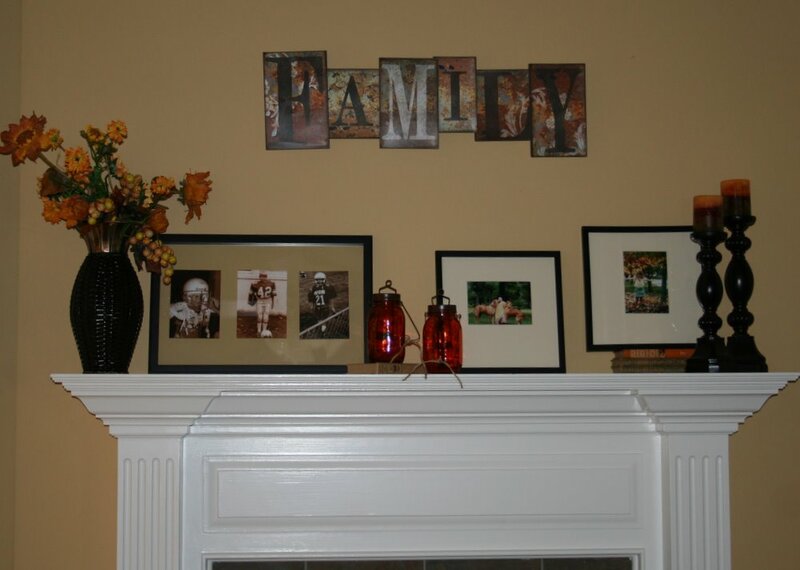 Fall 2011 – it’s all about family and football. 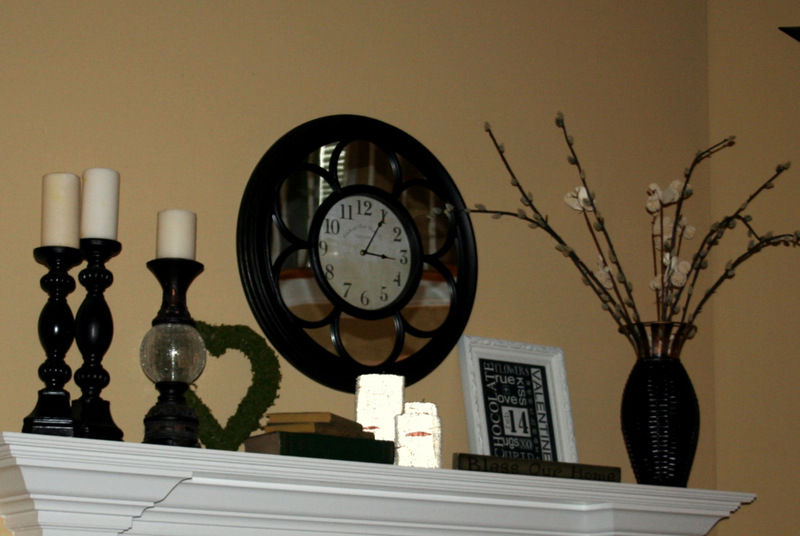 I’m embarrassed that I never quite managed to get pictures of my (few) mantel changes in 2012. Trust me, they were nothing to write home about, but maybe this year will be better for me and the mantel. 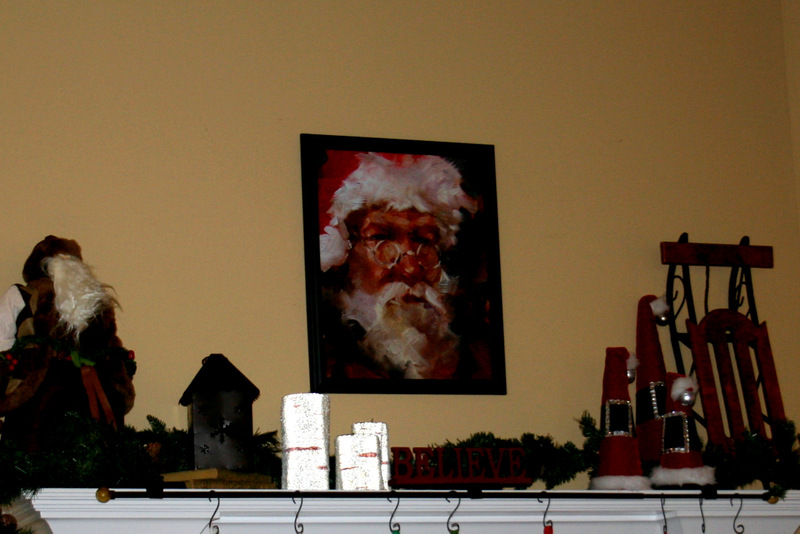 At any rate, here was the 2012 holiday mantel. Looking through your blog, I can tell you take pride in what you do! 🙂 Lovely!